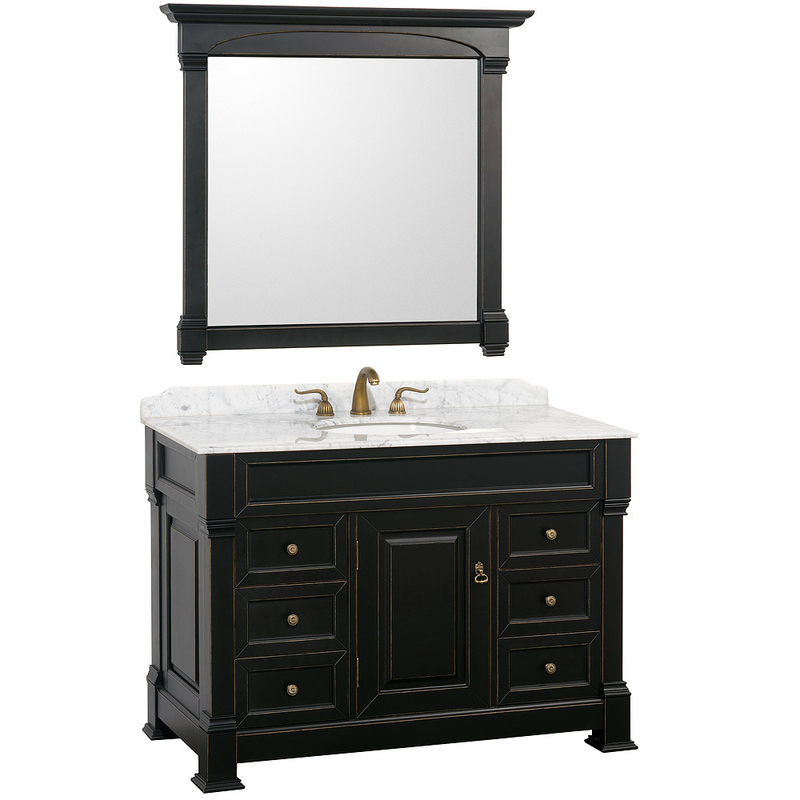 Beautiful in style, functional in design, the 48" Andover Single Vanity does wonders to an old bathroom that needs a little makeover. 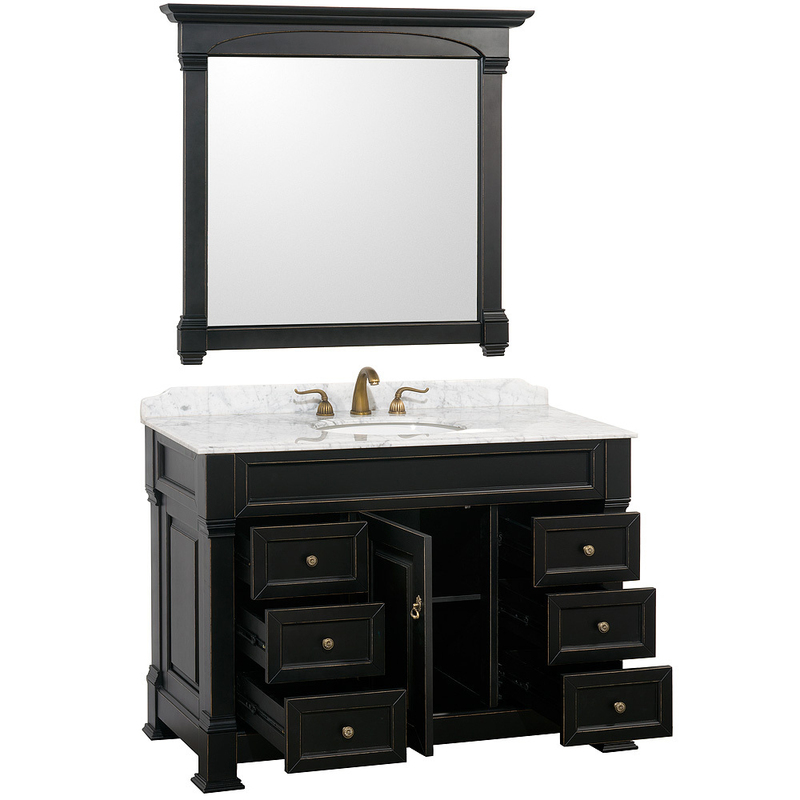 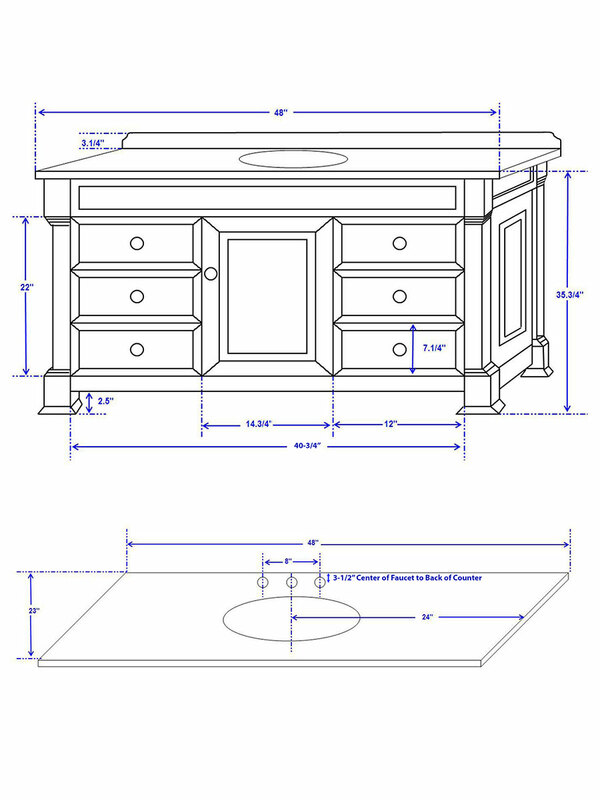 Featuring a frame-like design that offers six fully-functional drawers and a single-door cabinet, this vanity has plenty of storage space. 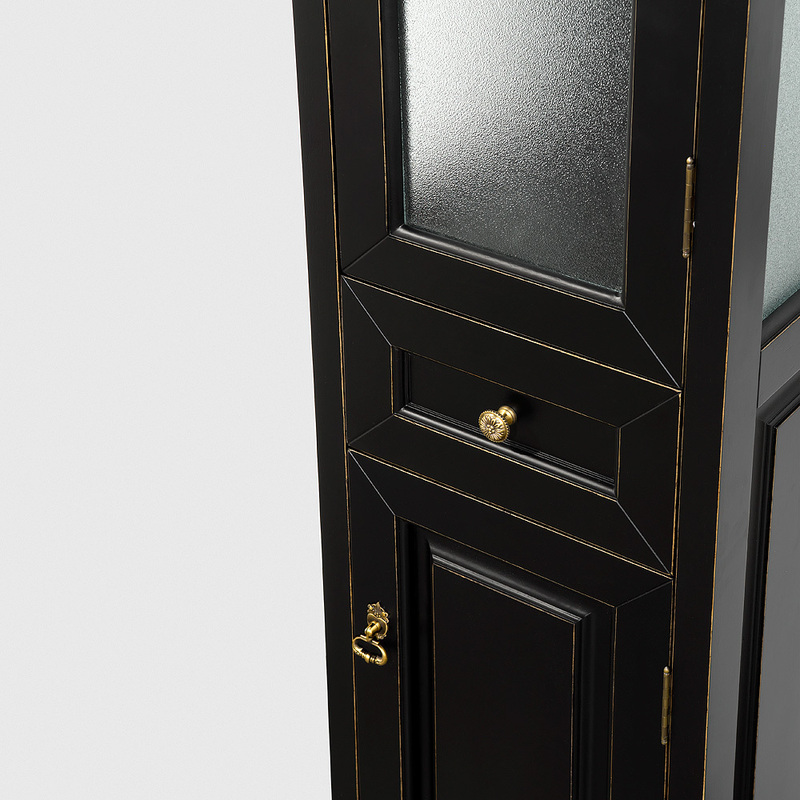 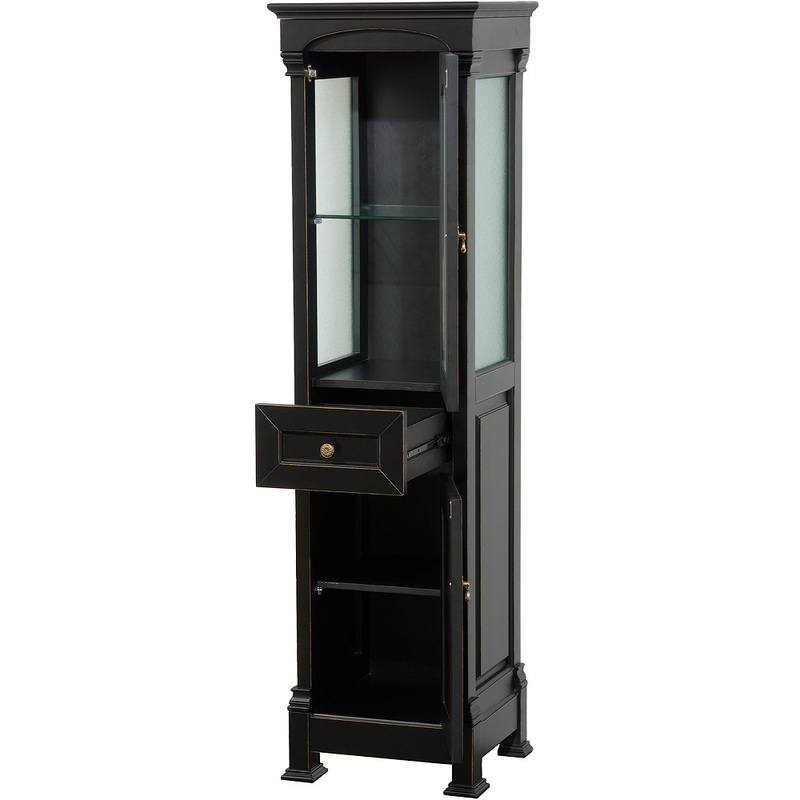 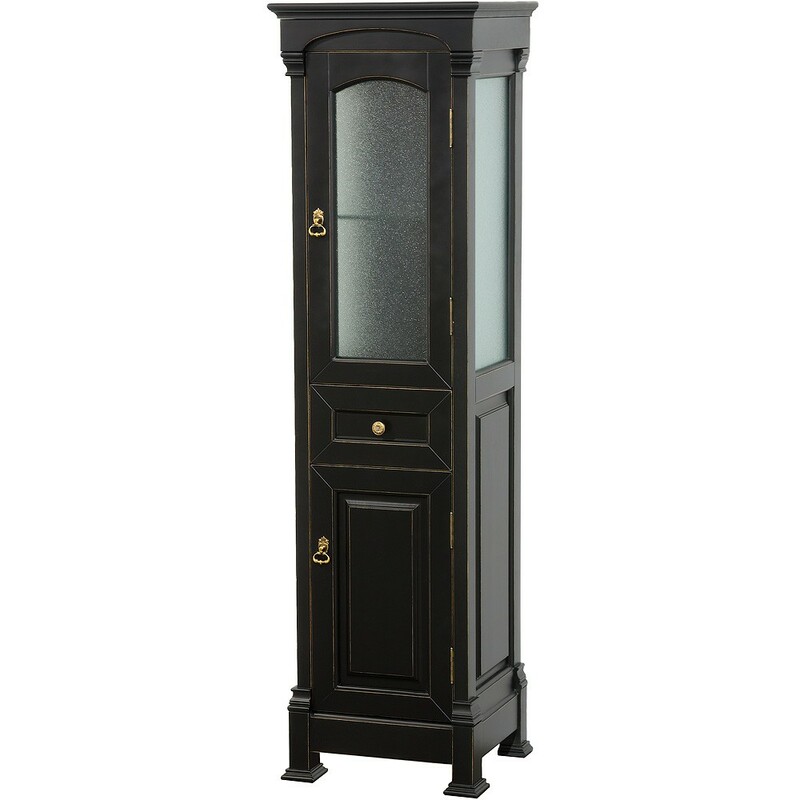 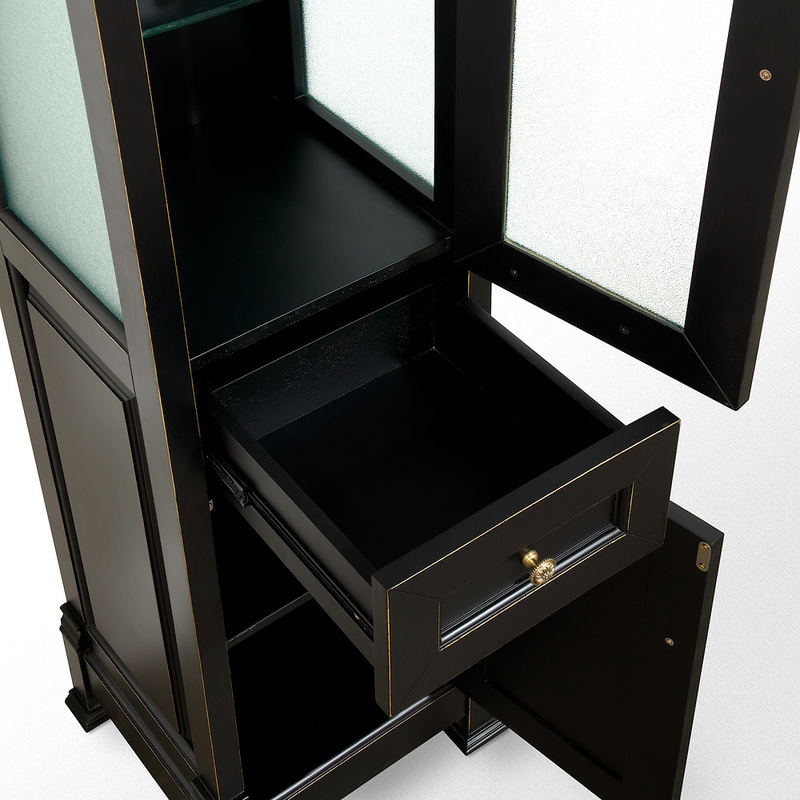 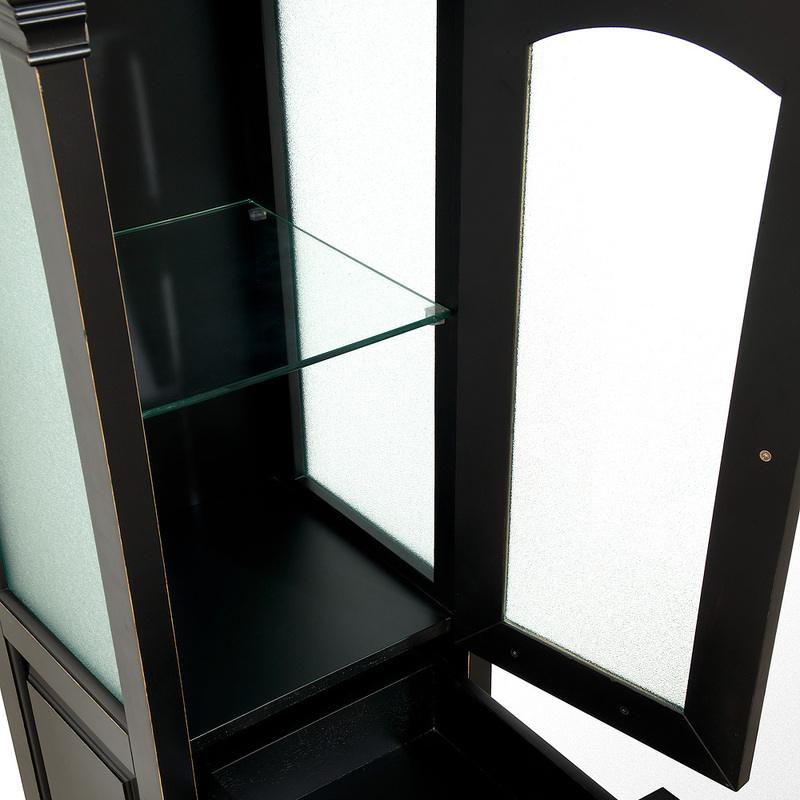 The cabinet is constructed of solid oak, deemingly it highly durable, while the Black finish was applied using a twelve-stage preparation, sanding, painting, and hand-finishing process. 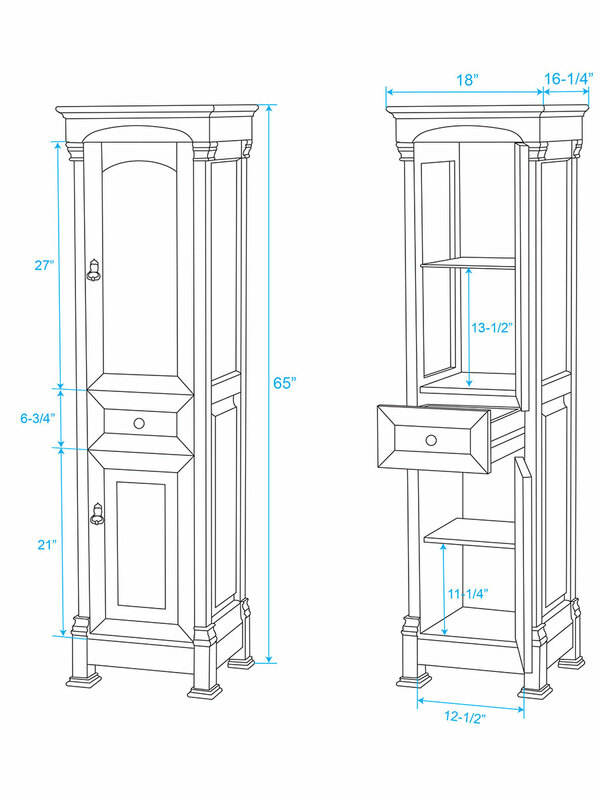 Matching mirror is included!